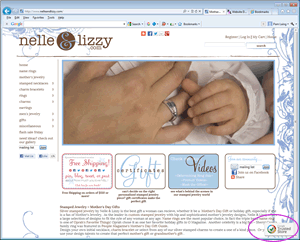 Nelle and Lizzy is now a member of Google Trusted Stores! Took some time and a lot of work, but their trusted stores banner is now active! Means buyers can get protection for their purchase and Google is proud to stand behind them. 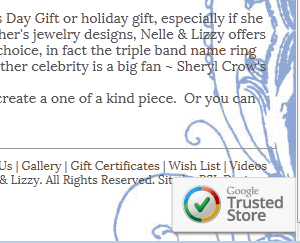 Nelle and Lizzy sells personalized jewelry … you can customize and create your own pieces or choose from those already created for you. They specialize in Mother’s gifts so are a great find for Mother’s Day! Now a member of Google Trusted Stores! Let us know if you are interested in becoming a Google Trusted Store. You can review the requirements HERE and we can help get you on your way! A new feature of Google analytics is that you can now enable webmaster tools data within analytics. This data will then be available in your Search Engine Optimization reports in Analytics. 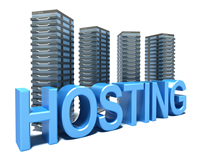 To set it up, you need to have both a webmasters tools account and an analytics account. If you are one of our clients, just let us know you want them attached and we’ll do it for you. To do it yourself, click on Search Engine Optimization reports and follow the instructions. Identify landing pages on your site that have good clickthrough rates (CTR), but have poor average positions in search results. These could be pages that people want to see, but have trouble finding. Identify search queries (keywords) for which your site has good average positions, but poor click through rates. These are queries for which your pages get attention and improved content could lead to more visitors. Want to get more traffic to your site … you need to make Google happy. One thing you can do is to have what are called “alt” tags associated with your images. If you are using ShopSite, these alt tags are not necessarily what you want them to be. Do a View > Source Code in your browser to see what is showing for your product images. You may be surprised at what is listed — might be file name which doesn’t mean much for a google search or might even be blank. What can you do? Well, if you host with Lexiconn, they have developed a new utility just for this purpose, their Image Alt Tag Module. If you have a ShopSite Pro account, they let you have this module for free and they will install it for you. All you need to do is decide what you want your alt tag to be. Pick from Product Name, Product Description, SKU, an extra product field so you can virtually use anything! It updates daily so any changes you make show up in a timely manner without you having to do anything. Not sure what field to use for your alt tag? We can help you with that and can help you create a custom field if you want it something specific. Be sure to use search words in your alt tag to help customers find you and keep Google happy! Ever have the need to change or review something for all your products in an easy way? With ShopSite you can do this. What you want to do is to download your products, save the file, then open it in Microsoft Excel or similar spreadsheet program. > ShopSite Database > Database Download > Products > Download. to create a backup of all your products, use all. To change or review something specific, click on the selected fields only button and select just the fields you want to see. Always keep the SKU as it is a key field when you re-upload your changes. Download Options: download data to your browser. give it a file name that makes sense. Save to your computer. Open your file in spreadsheet program. Make changes, then you can upload the same way. Need help with the upload, let us know. ALWAYS make a backup of your store before you upload just in case!